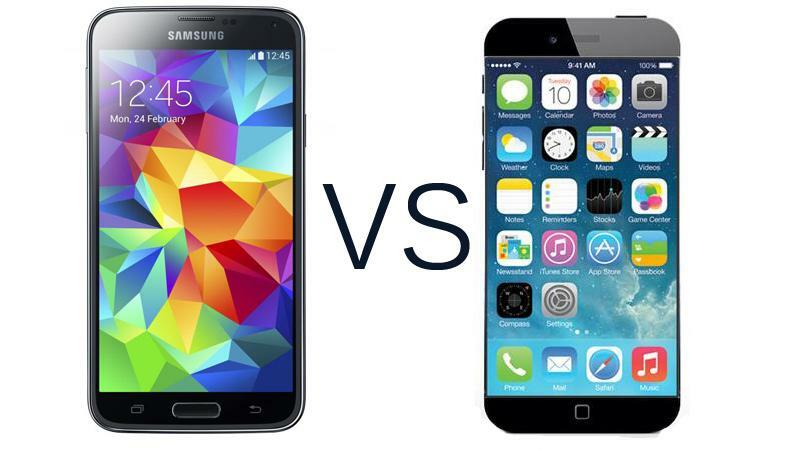 Which Should You Get, the iPhone 6 or the Galaxy S5? When it comes to smartphones, we all know that the war is raging between Apple and Samsung, despite the fact that there are countless other phones in the market. And when it comes to the point, Apple fans and Samsung fans are just as passionate about their preferred brands. If you’re on the fence in the matter, and you’re looking at buying a new phone in the next months, then it’s not unlikely that you’re looking at either the iPhone 6 or the Galaxy S5. It’s rather difficult to decide right now since the iPhone 6 is not out yet, but should you wait for it or simply go for the S5? Here are some things to consider, which may help you decide. Disclaimer: I am an Apple fan, although I have used Samsung phones as well. While writing this post, I have made every effort not to let my bias affect things. True story. How patient – or impatient – are you? So it all boils down to your temperament. If you’re willing to wait some more months and then compare the two devices, then that is actually the route I suggest. Are you hellbent on saving money? What do you do with your phone? Do you merely use it for texting, calling, and playing highly entertaining games? Or do you use it for a lot of really important stuff, so much so that price does not matter much? The thing is, the Galaxy S5 is probably going to be cheaper than the iPhone 6 (as we don’t know the price point for the latter yet). If you’re in savings mode, and the price is what matters most to you, then you know which phone to get. Do you like to have things “just work” or do you want to tinker with your phone? If you’re the type who just wants things to work as they’re supposed to, without you having to deal with so many different settings, then the iPhone 6 is the best thing for you. If, however, you want more freedom in tinkering with your phone, then you will want to use the Android-based phone. How important is sturdiness for you? 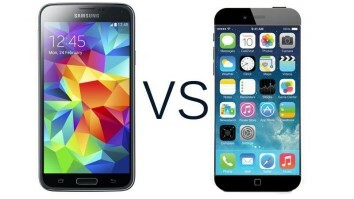 I have had both Samsung and Apple phones, and I have to say that Apple trumps Samsung in this regard. While some may argue with that, I will stand by this statement. Samsung phones feel like crap and they deteriorate faster physically than iPhones. That being said, if you like your phone looking good in spite of not being one to be extra careful with gadgets, then the iPhone will suit you better. It’s really hard to say which phone is better when there are so many factors – especially personal preferences – to consider, not to mention the fact that the iPhone 6 is not out yet. At the end of the day, if you can wait, just do so. When the time comes that you can compare both phones – actually holding each one – then you stand a better chance of making a more informed decision.